Today H.E. 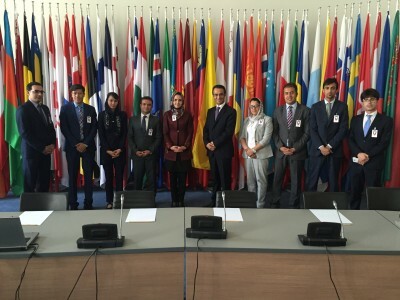 Ambassador Erfani, along with two diplomats from the Afghan Delegation, met with up-and-coming young diplomats from Afghanistan during a special meeting at the OSCE. 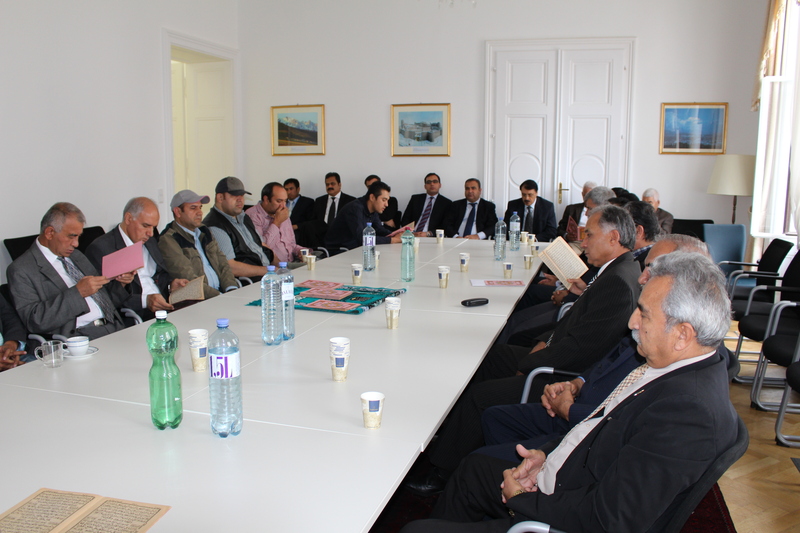 The meeting was hosted by the Permanent Mission of Germany to welcome young diplomats of the various Central Asian countries, including Afghanistan. The group of young diplomats were part of an international training programme organized by the German Foreign Office concerning the formation of young diplomats from all over the world. 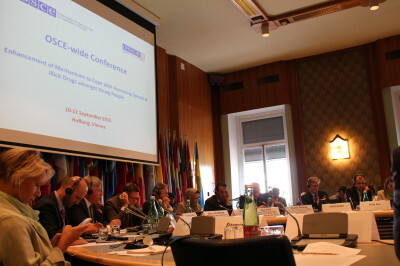 During their stay in Vienna, the young diplomats visited the OSCE and various International Organisations to get an insight into the functioning and activities of their respective missions. 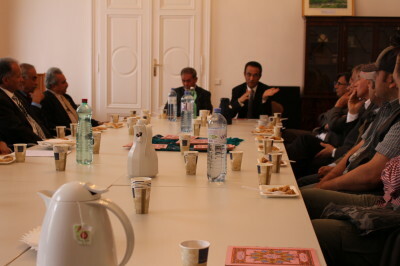 During the meeting, Ambassador Erfani briefed the young Afghan diplomats various aspects of the work completed here in Vienna at various international oganisations including the UN, OSCE, UNIDO, IAEA and CTBTO. Ambassador Erfani noted the importance of training and first-hand experience for young diplomats. He congratulated the young diplomats on their efforts to improve their skills and knowledge in order to best represent Afghanistan in international affairs. Ambassador Erfani thanked the H.E. Permanent Representative of Germany to the OSCE, Ambassador Eberhard Pohl, and the coordinators of the Young Diplomats Programme meeting. Ambassador Erfani added that Germany throughout history has proved to be a great friend of Afghanistan and for the last 14 years, has been an active member of the international community in the stabilization process in Afghanistan. Ambassador Erfani concluded specially thanked Germany for coordinating this capacity building activity and noted that capacity building remains an essential area in particular for the young generation who are a promising factor in our future. Let me start by congratulating your Excellency, Ambassador Filippo Formica on your election as President of this year’s General Conference. Also, I wish to thank Ambassador Aliyar Lebbe Abdul Azeez for presiding in such a great manner over last year’s General Conference and I wish him every success in his future endeavors. I thank H.E. Director General Yukiya Amano for his statement and for the Annual Report 2014 and congratulate him on his outstanding leadership. My delegation also commends the strong efforts of the IAEA Secretariat. The delegation of Afghanistan welcomes Antigua and Barbuda, Barbados and Turkmenistan to the IAEA family. We are confident that the new members will have a mutually beneficial relationship with the organization. The annual General Conference provides a fresh opportunity for all of us to learn from the past developments, evaluate our opportunities and address the evolving and protracted challenges we are facing in international peace and nuclear safety and security, which remain vital for the security of our global village. 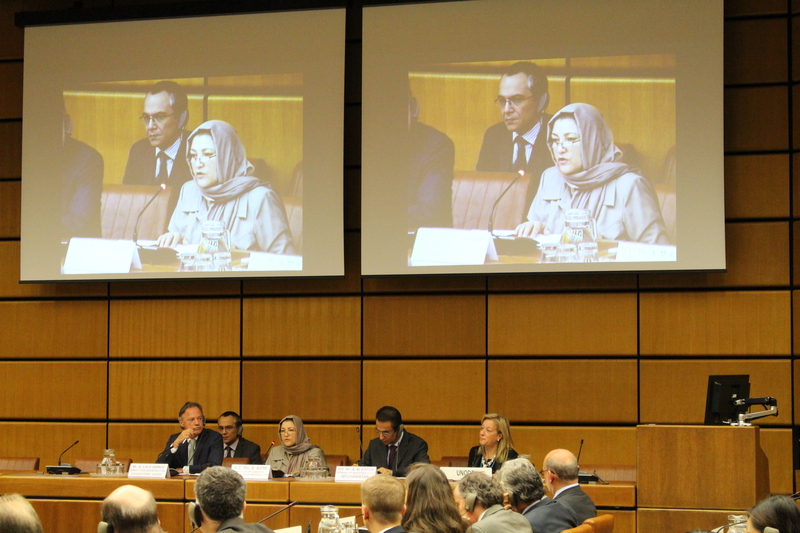 Afghanistan, a founding member of the IAEA, started to benefit from IAEA’s excellent co-operation as early as 1959, and we continue to do so in our ongoing joint efforts in developing nuclear applications and technology in the country. Therefore, today I will focus on further expansion of nuclear applications in Afghanistan through strengthening the technical cooperation between Afghanistan and the Agency. 1) Legislative and regulatory framework; 2) human health; 3) agriculture and food; 4) water resources management; 5) energy planning; 6) nuclear analytical capability; and 7) human capacity building. These policy issues remain vital in achieving our goals as set out in our national development agenda and NPPs throughout the Decade of Transformation. 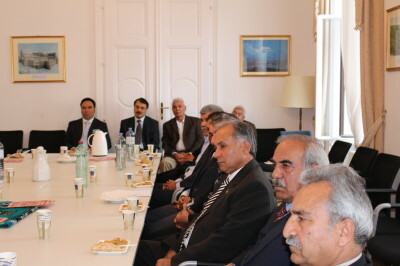 I can also report that the Parliament of Afghanistan has ratified Afghanistan’s Nuclear Act, drafted by the Afghanistan Atomic Energy High Commission (AAEHC) with the IAEA’s assistance on 10 September 2015. 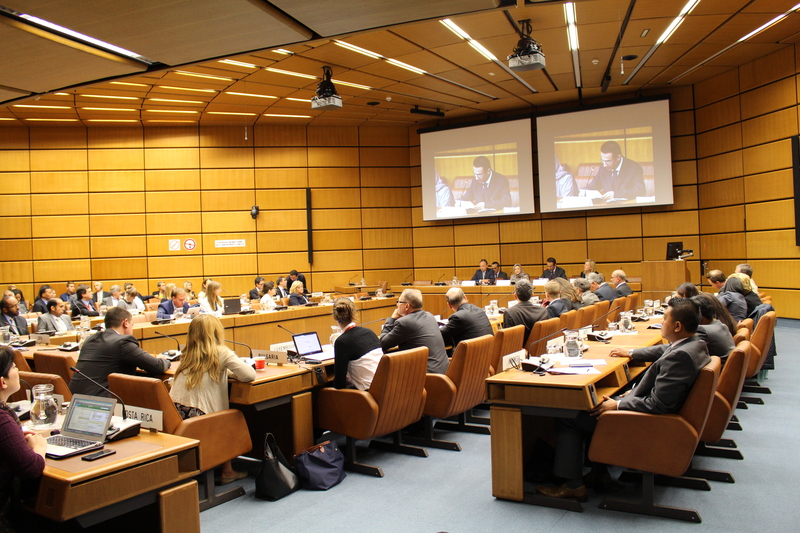 Afghanistan with the IAEA’s support is about to finalize draft regulations for radiation safety in the areas of 1) waste management and 2) the transport of radioactive materials. The Agency’s technical cooperation activities are of great importance for Afghanistan and our entire region, and Afghanistan therefore considers it essential that the resources of the Technical Cooperation Fund be sufficient, assured and predictable. Recent technical cooperation projects between Afghanistan and the IAEA revolved around three key projects: The establishment of a Radiation Oncology Centre; a Radiology Diagnostic Centre; and Radiotherapy and Radiology Services in Kabul. Afghanistan appreciates the support that has been received from the IAEA technical cooperation projects and looks forward to the expansion of such cooperation in future projects. On our part, we are committed to continuing our efforts to further develop the institutional and regulatory framework required for peaceful nuclear technology applications, through leading role of the AAEHC in the country. Training and capacity building remains a key component of the efforts being made by the AAEHC. The IAEA has provided considerable capacity building opportunities to the AAEHC in the form of fellowships and training courses. However, still a lack of funds indicates the need for further cooperation and support by the IAEA and the international community at large and we hope that donors are able to contribute sufficient funds for these important programmes. I wish to reemphasize that Afghanistan attaches great importance to the IAEA’s technical cooperation projects under the CPF and remains confident that more effective use of various activities under the CPF will have greater impact. We wish to encourage increased transfer of know-how and additional capacity-building programmes from countries with advanced nuclear and radiological standards, which could also serve as an important step in shifting from mere assistance to strong cooperation. We highly commend the efforts of the IAEA in assisting developing countries in gaining further access to nuclear science and technologies and we believe this must be a priority for the post-2015 development agenda, especially on the eve of the UN Sustainable Development Summit (25-27 September 2015) and due to the importance of access to energy in poverty reduction and improving health and livelihoods. As Director General Amano has rightfully stated in his statement on Monday, there are obvious links between the activities of the IAEA and the new goals, including human health, water management, food security, nutrition, protection of the environment, and energy. We cannot overemphasize the importance of technology and science for our development, welfare and progress. Afghanistan welcomes the Joint Comprehensive Plan of Action agreed between the IR of Iran and EU3+3 in Vienna on 14 July 2015. We congratulate the IR of Iran, the United States and the other negotiating partners on the historic outcome, which will enhance security and stability in our region and beyond, and we encourage all sides to take every effort for the implementation of this agreement. Safe, secure and peaceful uses of nuclear energy, science and technology will contribute to global peace, security and development. Afghanistan continues to fully support the establishment of a nuclear-weapons-free-zone in the Middle East and respective consultations to achieve this goal. We emphasize the central role of the IAEA in this process. The Government of Afghanistan welcomes any confidence and security building measures in this region, as well as any similar positive steps towards elimination of WMD arsenals. Afghanistan – a prime victim of international terrorism – strongly supports all efforts towards strengthened global nuclear security. We recognize that the global security framework is constantly changing. The IAEA must have the full support of all member states in order to be able to fulfill its mandate. I wish to conclude by reiterating the importance of continued cooperation between Afghanistan and the IAEA and its member states in the future and we are grateful for all the assistance we have received thus far. Today’s International Day of Democracy reminds us about the importance of a democratic, pluralistic and free society and the inalienable rights of all of our citizens. 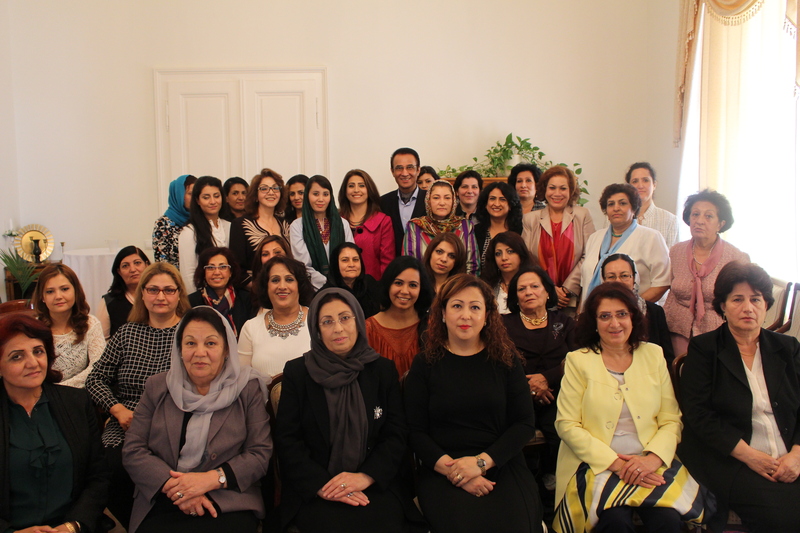 Afghanistan’s young democracy has made significant progress and political participation, including among women, and is continuously growing. We adopted a democratic constitution, held presidential, parliamentary and provincial council elections, established ministries, institutions, the rule of law, a free and independent media landscape, and we are proud of our dedicated civil society. The theme of this year’s International Day of Democracy is “Space for Civil Society” and we are committed to strengthening the ability of civil society organizations in the country as civic participation constitutes an important means for democratic, social and economic progress. Afghanistan is a member of the Community of Democracies, a global intergovernmental coalition of more than one hundred democratic states. Last year’s inauguration of President Mohammad Ashraf Ghani marked our country’s first democratic transfer of power. We have accomplished our democratic goals through hard work and many sacrifices by the Afghan people and our international partners. We will continue our work toward good governance, promoting democratic values and norms.